Eric Latimer is leading “I count MTL 2018” (April 24-26), an extensive survey of Montreal’s homeless population. 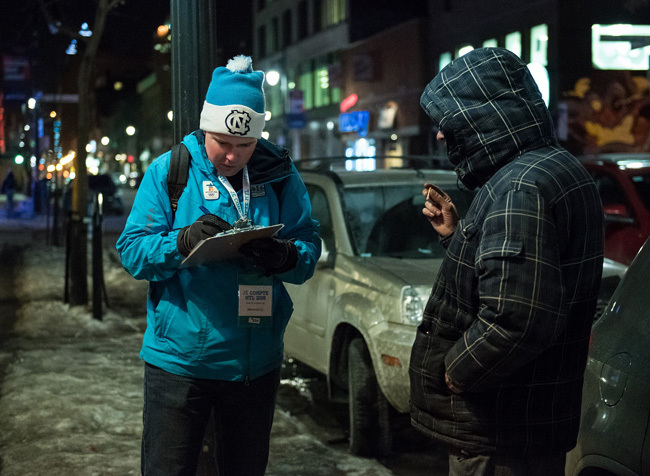 The organizers of “I count MTL 2018” are calling for 1,200 volunteers to do an extensive survey of Montreal’s homeless people from April 24-26. Accurate, up-to-date information about the size and composition of the homeless population is essential for planning effective services. Homelessness is a growing social problem plaguing Montreal and the entire country—yet the exact number of homeless people is unknown. Statistics Canada only tracks the number of residents of homeless shelters, enumerated during the census every five years. That’s why the organizers of “I count MTL 2018” are calling for 1,200 volunteers to do a three-day count, and demographic survey, of Montreal’s homeless population. On the evening of Tuesday, April 24, volunteers will fan out in streets and parks across Montreal Island. During the daytime on April 25 and 26, they will visit community resource facilities that support homeless people. It’s the second-ever Montreal-wide homeless count. The first count, conducted in March 2015, tallied 3,016 homeless people. Of those people, 429 were estimated to have slept outside. The other 2,587 were what are considered “sheltered homeless,” living in emergency shelters, transitional housing, hospitals, alcohol and drug therapy centers, or provincial prisons. “I count MTL 2018” is a project of the City of Montreal and the CIUSSS-du-Centre-Sud-de-l’Île-de-Montréal, which have given the McGill-affiliated Douglas Hospital Research Centre the mandate to carry out the count and subsequent data analysis. The Douglas is closely collaborating with the Mouvement pour mettre fin à l’itinérance à Montréal community group. Prof. Eric Latimer co-directed the 2015 count and is leading this year’s effort. He is a Professor in McGill’s Department of Psychiatry, and Director of the Mental Health and Society Research Program at the Douglas. Latimer says that careful point-in-time data collection about the size and composition of the homeless population is essential for increasing the funding and delivery of services. The data also helps track changes in the size and composition of the homeless population over time, a concrete measurement of progress in the fight to reduce homelessness. More than seven hundred people volunteered for the 2015 survey. This year, Latimer and his team want to almost double that number in order to increase the capacity to count groups who were not included last time—such as the “hidden homeless,” people without a fixed address who may be couch-surfing or living in rooming houses. Greater numbers of volunteers also make it possible to collect more questionnaires, and increase the precision of the estimate of the number of people sleeping outside. Field workers to visit outdoor locations during the evening (5:30 pm to 11 pm) of April 24, and community resource centres during the day on April 25 and 26, in groups of three to six. They will count homeless people, and guide screened-in participants through a 10-12 minute survey. The focus of the 2018 survey is on women, youth, and Indigenous people. Team leaders to coach and coordinate field workers during the evening of April 24. Helpers to prepare for the count during the coming weeks, and to offer logistical support on April 24-26. Volunteers will be trained before their shifts; no special skills or experience are necessary. “I count MTL 2018” is part of a coordinated, nation-wide point-in-time (PiT) homeless count that is rolling out this spring. Sixty-one communities across Canada will count their homeless populations as part of the federal Homelessness Partnering Strategy’s “Everyone Counts 2018” initiative. 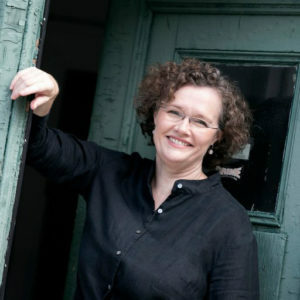 At the same time, the Ministère de la Santé et des Services sociaux du Québec is leading 11 communities, including Montreal, in their own homeless counts. All the PiT counts are using a common methodology, so the data will ultimately come together to create a Canada-wide snapshot.